BURY UNITARIAN CHURCH ....... Welcome to all our visitors ! Click here to see more pictures taken at this occasion. Neville Kenyon was the first GA President to be appointed from this church. That was in April 2010; he was Vice-President during the previous year. Neville is currently Deputy Chair of Trustees at our church, and also Chairman of the Academy Council at Tottington High School. He has previously served as Chair of the Congregation and Chair of Church Council. He is a committed Unitarian who has held many posts at local, district and national level, within the denomination. This year is the 300th annniversary of a Unitarian church on this site! What, then, could be more fitting than for our current Chair of the Congregation and Secretary to the Church Council than to become the Vice-President of the GA, in the same year? Anne Mills will be installed in this post during the General Asembly Annual Meetings in April this year. She will then become the second President to be appointed from this church, in 2020. Our Church has its origins in the late 17th century, its first chapel being built in 1719. The current building of 1974 is the congregation's fourth in the town. 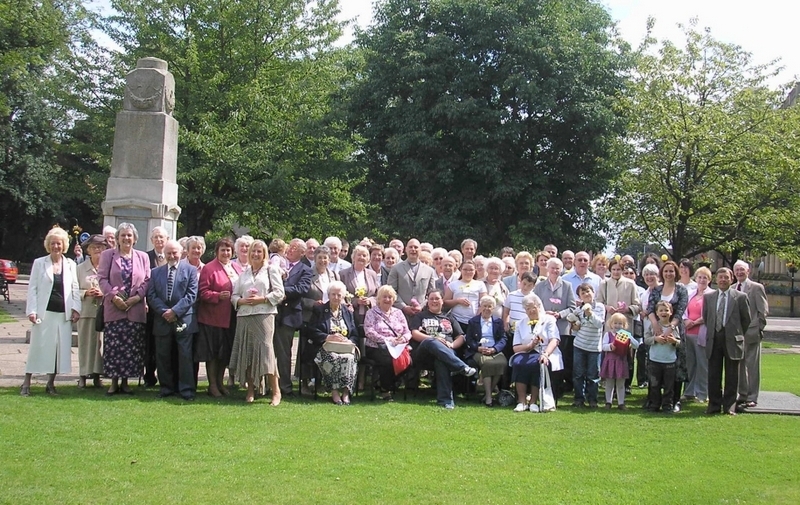 We are the oldest nonconformist congregation in Bury. Our Fair Trade Service, on March 3rd, was attended by several guests: Bernard and Judith Emblem, of Bury's Fair Trade Group, and Inga Brandes, the President, and Lucie Hrabánková, the Member at Large, of the International Council of Unitarians and Universalists. Inga spoke about the start of the ICUU; it arose from a GA resolution, in 1987, and was founded, in 1995, when its first meeting was held in the USA. 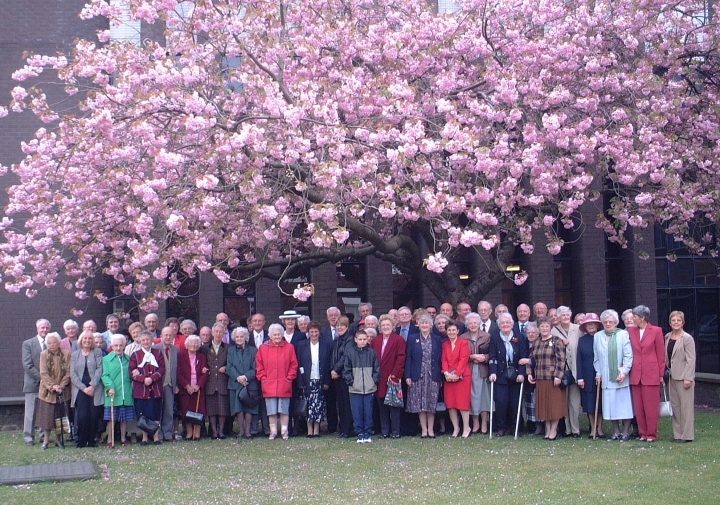 The purpose of the organisation is to bring together like-minded people throughout the world. Lucie read out part of the ICUU's Constitution; members believe in freedom of faith; the dignity of the individual; justice, compassion, and responsible stewarding in human relationships; the principles of democracy; and the promotion of ideals and principles with particular regard to liberal religious faith worldwide. Inga then continued by considering the parallels between the ICUU's beliefs and the principles underlying Fair Trade: what unites the two is commitment to the entitlement of the individual to earn his living honestly and fairly, and to be helped to improve his lot, should this prove necessary. We can all contribute to such initiatives by ensuring that we buy as many fairly-traded items as possible. Click here to read more from Inga. Later in the service, Anne Mills presented a cheque for £232.00, the proceeds from the previous weekend's Fair Trade Teaparty, which we had hosted and organised on behalf of Bury's Fair Trade Group. Bernard, the group's Secretary, received the cheque and expressed his gratitude to the congregation for all their efforts, during Fair Trade Fortnight, and throughout the year. All our visitors were impressed by the warm welcome they received; after the service, over refreshments, they enjoyed meeting church-members and chatting to them. Important links between two worthy organisations were forged on the day, which, hopefully, will be extended, into the future. Click here for a list of services and other religious occasions. 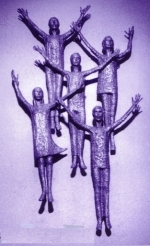 Click here if you are attending a Unitarian service for the first time and would like some help. We have a parents and children's area within the church. 12.15 pm to 12.45 pm, normally on the 1st and 3rd Sundays in the month. "Under the terms of the General Data Protection Registration (2018), Bury Unitarian Church will use information provided by its members for its own social and administrative purposes. A member's personal information will be removed from the church-records within one month of the receipt of a written request, to that effect. 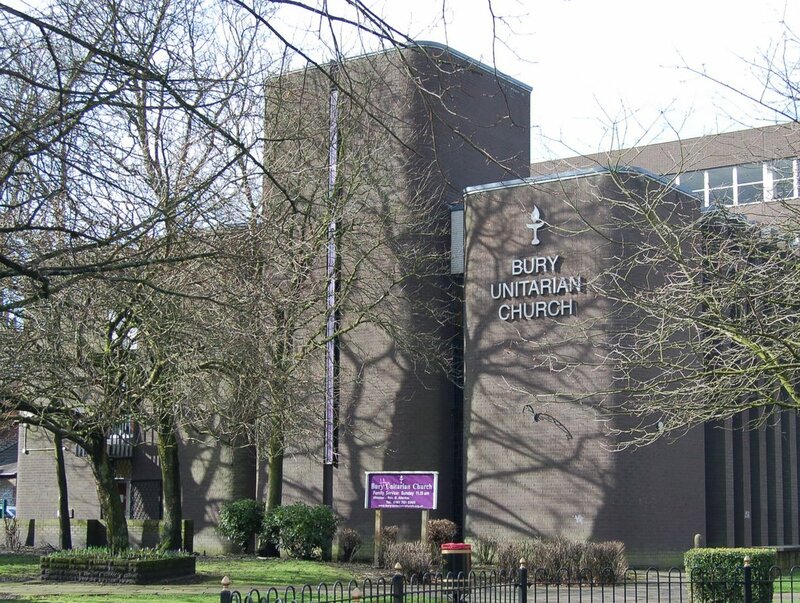 Bury Unitarian Church will not pass on members' details to any third-parties outside the church, without permission; information held by the Minister or Church Officers of a confidential nature will not be passed on to other church-members; this will include Gift Aid details. 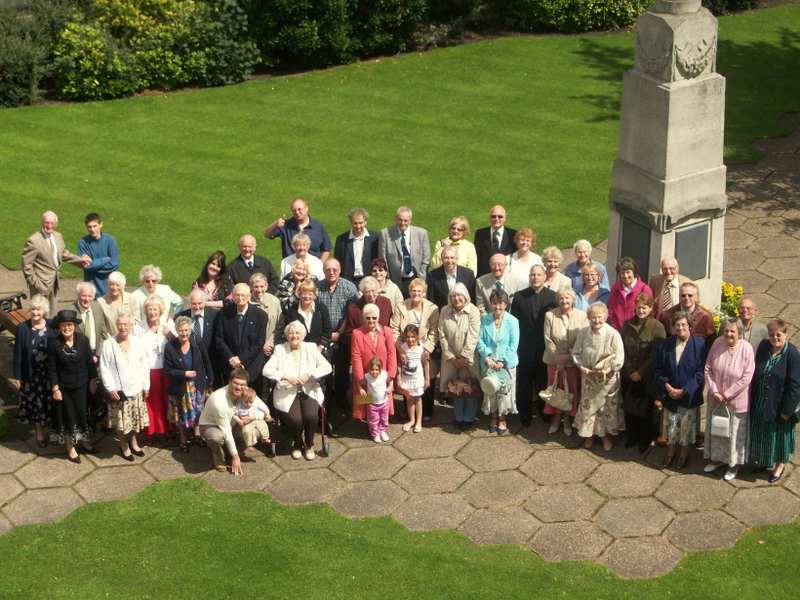 If photographs are taken on church-premises of church-members, Bury Unitarian Church will assume that, unless instructed otherwise, permission for these to be displayed is granted. In the case of members of the Junior Church, the permission of the children's parents will always be gained before photographs of them are taken or used (for example, in the church-calendar, or on the church-website); in such cases, surnames and ages will never be included. Queries about GDPR should be addressed to the Church Secretary. We have a range of social, educational and recreational activities and the Church is regularly used by other organisations. Click here for a list of special occasions.